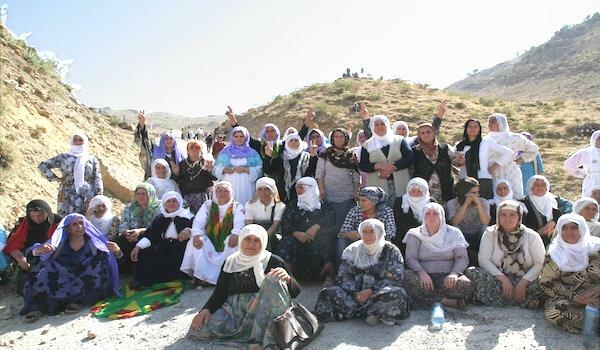 The Mothers of Peace: This is a group of Kurdish mothers from Turkey who have gone out and used their bodies as human shields to block the roads so that the Turkish military cannot pass. Peace Mother Hava Kıran made a brief announcement saying, "We are blocking traffic so soldiers do not die. This action is a natural right of mothers. We closed this road so no more mothers are hurt." « September 3, 2011: Global Demonstrations in Defense of People in Iraqi Kurdistan and against the Atrocities of the Islamic Republic of Iran & the Turkish Government!